I previously talked about why it's a good idea to pursue too many freelance writing jobs. However, what should you do if you overbook yourself as a result of your marketing, pitching and prospecting? 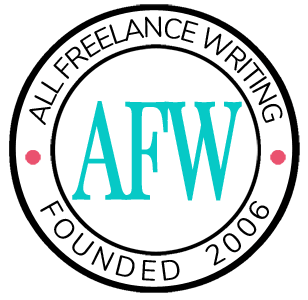 You're at a point other freelance writers would envy, so congratulations! The work is coming in and your marketing efforts are paying off. However, that doesn't mean it's not still difficult to manage when you have numerous projects on your plate. Here are some ideas you can implement today to prepare for the days you can't juggle it all. While these three suggestions might not fit every situation, they are the general ideas behind the decision you now face. On those days where you have too many projects that received the green light, you have the opportunity to be choosy. This is a blessing and a curse, but you have the opportunity to do something that other people might envy in their work environment: you can choose between the projects. Just how you pick which project to do is up to you. Perhaps you will choose the one that pays more, or the one that appeals to you the most. Perhaps you'll choose the one that challenges you or the one that offers the most creativity. If both projects have a deadline, you may have to just flip a coin and see which one wins out. Let's say you have two project proposals approved, with similar start dates, but one doesn't have a firm deadline. How should you handle it? You can try to do both projects at once, but you might be stressed out and may fail to do your best work. This possibility might not bode well for either of you and isn't the ideal situation when freelancing. If the client absolutely needs the project to start soon, you can tap into your network of other writers and see if someone is available to start now. Maybe someone you know has been looking for the type of work you have been offered. The great thing about passing off work to others is building trust with the client and with the other writer. The client will be happy you helped their project and, as to be expected, the other writer will appreciate the work and income. An added bonus: you'll feel good you were able to help! It's not the preferred response, but if you are too busy, cannot refer the work to someone else and the client won't budge on the project start date, you may have to say no to doing it. Part of being a freelance writer is being flexible and rolling with the punches, and sometimes "no" is the answer you have to give. You can avoid having to say no in the future if you communicate with the client from the start about your other obligations. This can help them determine if they will offer you the work or look for someone else. This discussion can also help you refer work early on if you're certain your schedule is booked solid. How do you handle getting overbooked? Share in the comments below! Megan Harris is a freelance copywriter, editor and social media manager. She writes about the freelance life at MeganWrites.com and likes to motivate others with her story of how she became an independent writer. When she’s not writing, she researches her family tree in her spare time, hangs with her husband and their dog, Cooper, and is earning her Masters in Public Administration at University of Illinois-Springfield. You can also connect with Megan on Twitter or her Facebook page. Read more posts from Megan Harris. – I farmed out a project to another writer. – I prioritized by deadline. – I put the priority projects first and kept the other project owners informed on what I was doing every few days (I’d give their projects a little attention so I’d have something to report). – I asked one client for a small extension (and I got it). I say if it continues to happen, it’s a sign that the rates need to go up. Then again, this IS what happened after I raised the rates. Hmmm. Dilemma! Good for you, Lori! I’m also working in the process of passing a project to someone else. Also, kudos on getting the extension! It’s pretty nice when you’re able to do that and get a little more breathing room to get things done. Thanks for the followup post Megan! Thanks for hosting it, Jennifer! The author covered this pretty well I think when she pointed out that it means you can be more choosy about projects, taking on only the best of them. What she was talking about is marketing so well that you have more people wanting to hire you than you can realistically take on. That doesn’t mean you have to say “yes” to everything. You can turn down the less-than-ideal projects, or schedule some further out for whichever clients have the most flexibility (much how waiting lists would work).